With just two weeks away, the big game is on the horizon! I can feel the excitement in the air and the energy building: What will be the best commercial? How will the halftime show shape up? Who will take home the coveted W? And of course, what fabulous food will be consumed? Be the fan favorite at your big game party and bring the boom with BOOMCHICKAPOP! I've been a huge fan of BOOMCHICKAPOP for as long as I can remember. For one, I am slightly obsessed with the packaging. 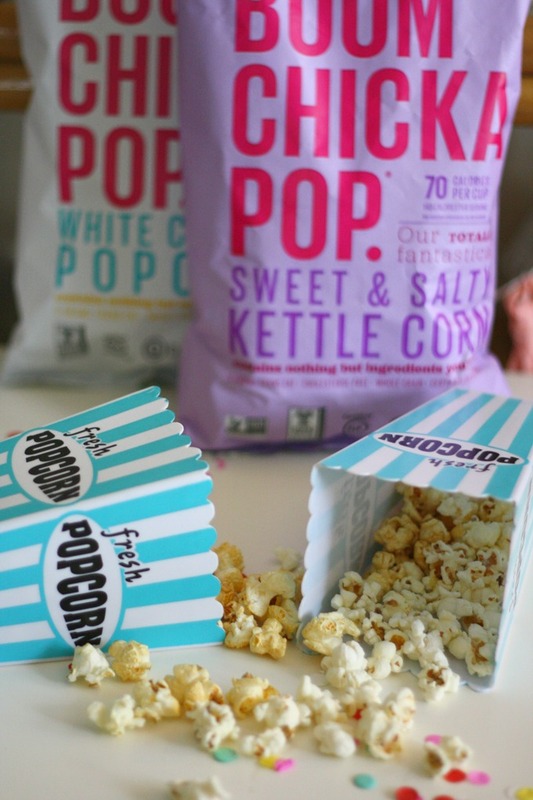 #sorrynotsorry For another, I love that flavors of BOOMCHICKAPOP can be mixed together to create one satiating snack. My favorite winning combination? White Cheddar and Sweet and Salty Kettle Corn. This combo allows the best of both worlds: sweet and salty and creates a delicious convergence for your tastebuds. This year, I am bringing the boom to my party by providing adorable popcorn containers filled with my favorite BOOMCHICKAPOP concoction. The containers keep everything neat and orderly while encouraging people to move away from the food table and onto the couch where all the action is happening. I picked mine up from the dollar section at a certain favorite retailer; the colors available matched my bags of popcorn perfectly, and I just couldn't resist how great I knew they would look for the big game. Of course a sprinkle of confetti just adds to the party scene and sets the tone for a winning celebration. BOOMCHICKAPOP is a healthy tailgating treat which means you can nosh guilt free while enjoying the party. No need to pass over this snack; instead, dig in for more! To help you celebrate the big game, BOOMCHICKAPOP is offering you a chance to win a Game Day Kit! You can enter once per day every day. 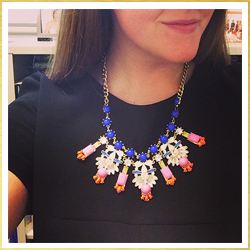 And don't forget to share a photo of how you bring the boom to Game Day and tag BOOMCHICKAPOP on social media. Then, use the hashtag #bringtheBOOM for even more chances to win great prizes. The prize for the photo contest? A PINK GRILL! Plus a pink travel chair and grilling utensils. Say what?! I'll be entering that for sure. Bring the boom to your Game Day party with BOOMCHICKAPOP; I know I will! This popcorn is really good and my kids finished off two bags in one day. Super tasty and the variety of flavors is really nice.